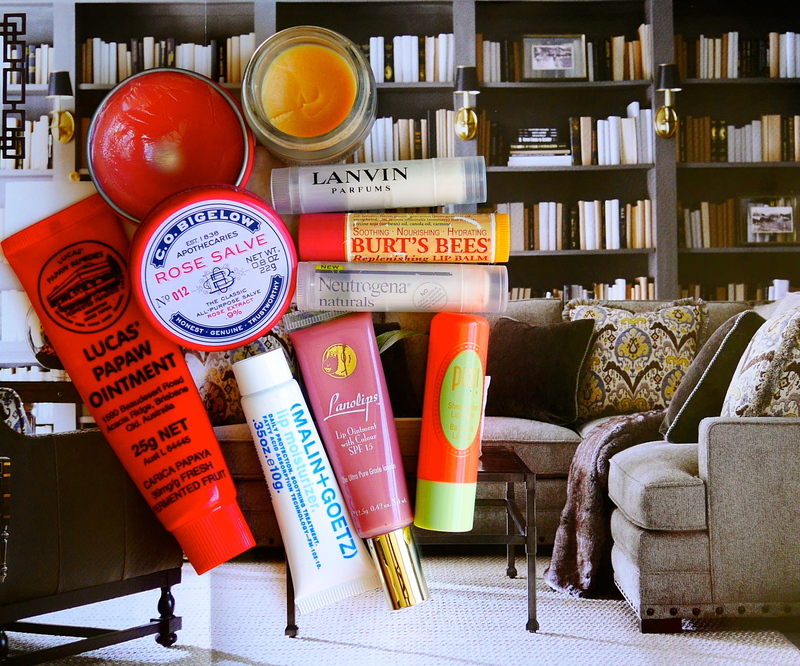 I’m a lip balm junkie to the degree if I don’t feel anything on my lips I get super uncomfortable and fidgety. With that being said, I tend to keep a balm in every possible corner of my life. Such as bed side table (night-stand), hand bag, work desk, work drawer, laptop carrying bag, car (mine and husband’s car)….you get the drift. NUXE Rêve de Miel Ultra-Nourishing Lip Balm – Love, love, love!! Matte finish, leaving lips super nourished. Usually my night time lip balm! Its coats your lips in such a wary that no harshness would penetrate! Did I say I love this? 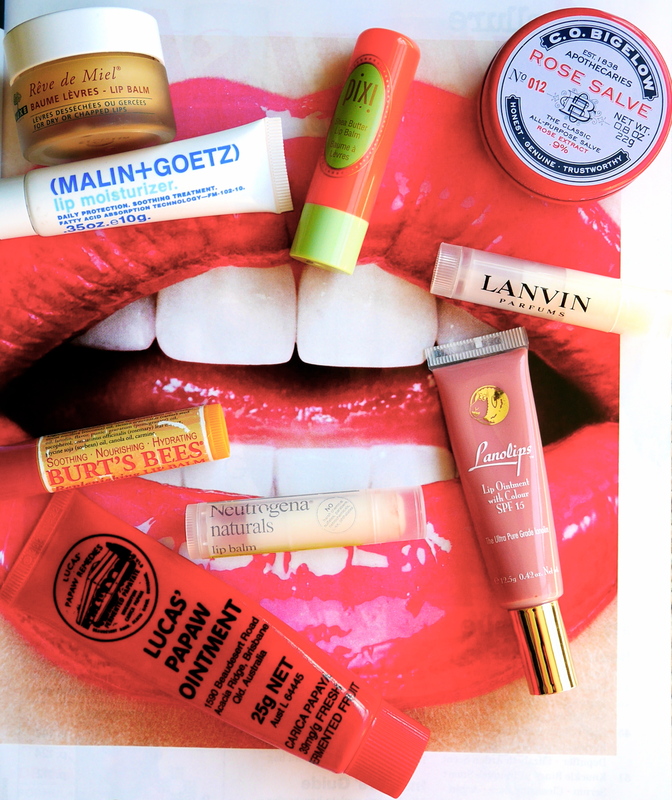 Malin & Goetz Lip Moisturizer – especially amazing when I travel, no amount of dehydrated airplane air would get to my lips. Luscious! Lucas Paw Paw Ointment – my HG product for everything in my life (Click Here). Burts Bees Replenishing Lip Balm with Pomegranate Oil – simple basic lip balm, does what it says! Neutrogena Naturals – same as above however leaves a minty menthol feel on lips. Lanolips lip ointment with color SPF – unfortunately this one left my lips drier than usual, it sure felt nice whilst on but nothing for me to rave about except it has spf protection. C.O. Bigelow Rose Salve – this one lives at my work desk, not nourishing or great for chapped lips but good enough to make em look healthy and adds tiny winy bit of color. 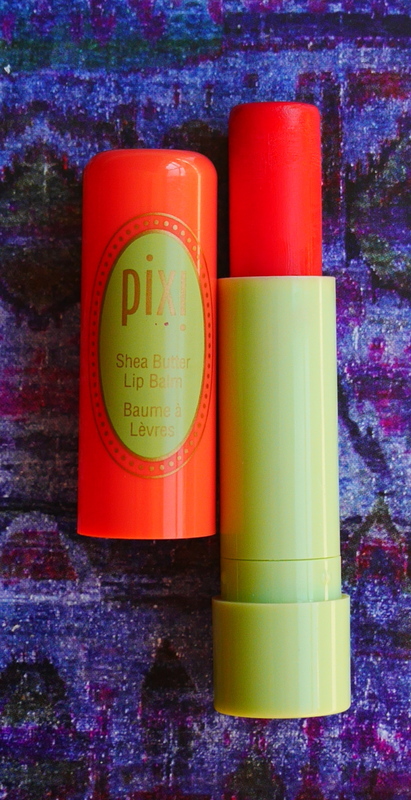 Pixi Shea Butter Lip Balm – Received this one as a part of my Birchbox subscription in color Coral Crush! This is amazing, days when I’m lazy and don’t want to wear any lip products this one not only nourishes but also gives cutesy dash of color! Lanvin stick – I received it as a part of airline toiletries pack, therefore as a part of kit, not bad! However for as a part of my everyday essentials….ermmmm No!